Installing a new kitchen can be one of the most expensive investments in your home so it pays to do some careful planning beforehand. These 6 steps will help you get started on planning and designing your new kitchen. Before you begin kitchen renovations, decide how much you want to spend and always be honest about your budget so that your designer can help you decide where to save and where to invest. The kitchen adds huge value to the home, so don’t be tempted by the cheapest options that might look good at first but which won’t last. Investing in excellent craftsmanship and good finishes will mean that your kitchen looks high-end and will last a lifetime. Make a list of all the things you like and dislike about your kitchen. Think about whether you’d like to open-plan or extend the existing space. Maybe you would like to add or enlarge windows or install skylights? A well-lit kitchen must have ambient, task, and accent lighting – this is quite tricky so it is best to work with your designer or a lighting specialist on this. The layout of the kitchen is crucial and functionality must always be prioritised when it comes to kitchen design. 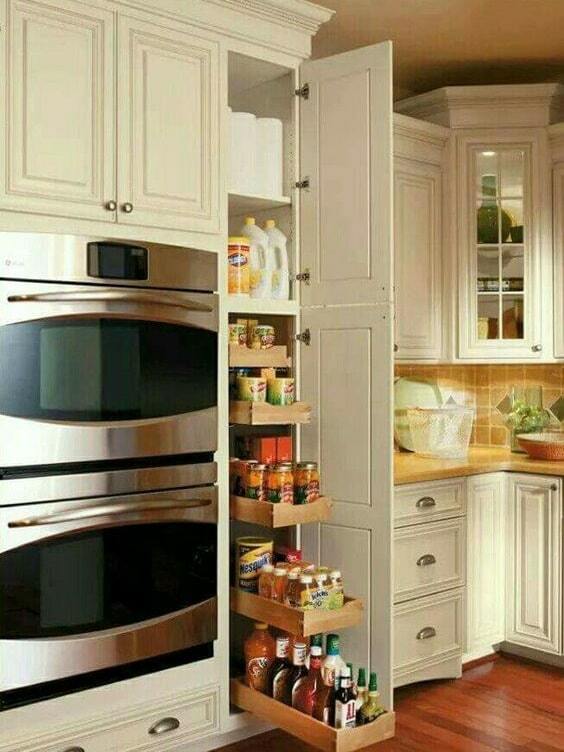 Think about the placement of each item in the kitchen and how it affects the flow of traffic through the workspace. Storage is a huge consideration and you want to make sure you have enough space for pots, crockery, food and all the other necessities. 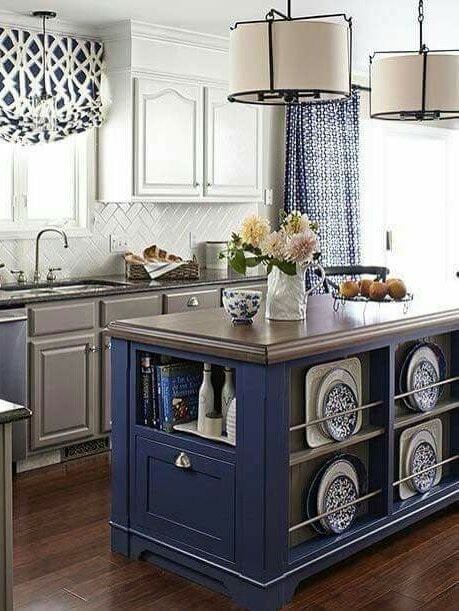 Consider a kitchen island to add extra storage space and working surfaces. If you get stuck trying to find space for everything, call on a qualified kitchen designer – they will have a host of solutions that you might never have thought of. 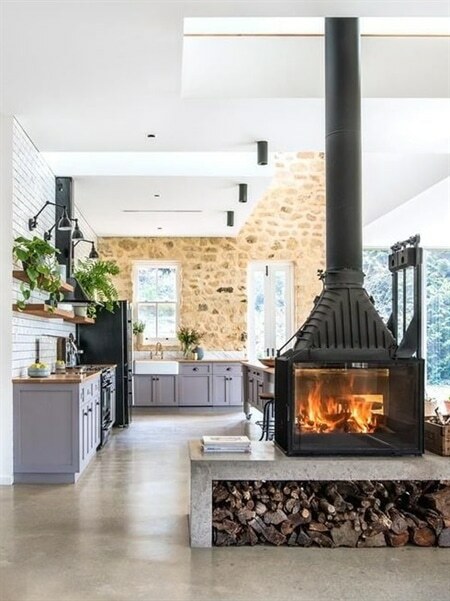 The style of the kitchen should be compatible with the rest of your home, especially if you have an open-plan layout with spaces flowing into one another. 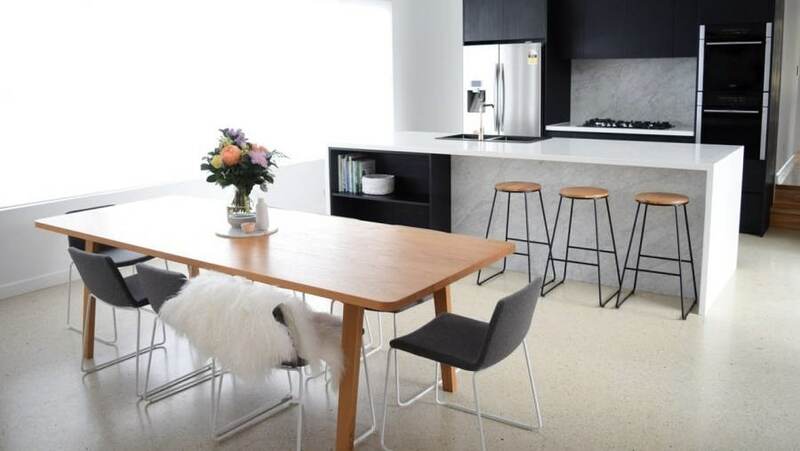 It can be easy to get caught up in the latest trends and end up with a kitchen that looks vastly different to the rest of your home. Paint doors in neutral colours, with maybe a central island painted in a warmer or stronger shade, delivering a modern yet timeless look. Coloured walls, accessories, tiles and counters can provide contrast to the cabinets and can easily be changed in the future. Other design elements, for example the appliances, splashback, sink, mixers, and cabinet handles, must be chosen to complement your overall colour palette and design and also create lots of texture and visual interest. 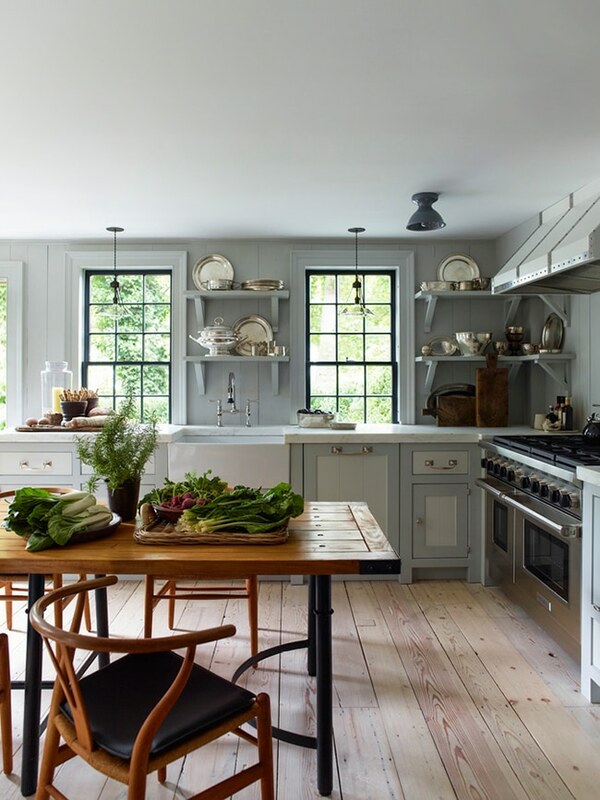 Read more about popular kitchen styles: Modern, Contemporary, Farmhouse, Classic. Once you’ve done your initial planning and armed yourself with some ideas, it’s time to call in the professionals. A well-designed kitchen involves expertise and a great deal of planning. Kitchen designers have technical knowledge, drawing programs and the latest information on products, fixtures and fittings and trends. Ultimately, their expertise will ensure your new kitchen works as efficiently as possible. They will also ensure it is unique and aesthetically pleasing while functioning to your family’s needs. Hiring a full service company that handles projects from conception to completion will also save you a lot of time, money, stress and frustration. Read more about Rock on Wood’s kitchen design and manufacturing service.